Women now get the more tattoos than men in the U.S.
Beverly Thompson, associate professor of sociology at Siena College, explores how discrimination still follows women in this artistic endeavor. Dr. Thompson earned her Ph.D. in Sociology from the New School for Social Research in New York City. Her main research focus is in the area of visual sociology. She utilizes documentary filmmaking as a method for her sociological research. Record numbers of Americans are getting tattoos—at least twenty-five percent of the population now has at least one. And for the first time ever, women make-up over 50% of all collectors! My research focuses on this often-overlooked population. “Heavily-tattooed” women, who have large tattoos on “public skin,” and imagery not considered pretty, such as skulls or snakes, often face social sanctions. Women manage their tattoos to a greater extent than men, as being heavily tattooed goes against stereotypical expectations of what it means to be feminine. But the women themselves view their tattoos as something that makes them more beautiful and authentic. For women tattoo artists, they face discrimination from both employers, and potential clients alike, similar to women in other male dominated professions. From male tattoo artists who refuse to take on women apprentices, to sexual harassment, and derogatory treatment in the workplace, women tattoo artists have had their own “Me Too” moment in their industry. Women artists may face clients who: overlook them as receptionists, do not want tattoos done by a woman, or think that women have a lighter touch with a tattoo machine. 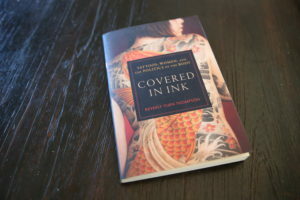 With the sheer numbers of tattooed people in contemporary society, this research provides insight into understand the idea of “tattoo etiquette,” or how the public can most respectfully interact with people regarding their tattoo collections. 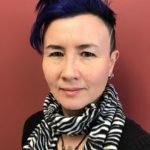 By re-considering the reasons for questioning another’s body adornments, not touching, and understanding that tattoos are simple one manner of self-expression, observers can work towards lessening the social stigma surrounding women’s tattoo collections.